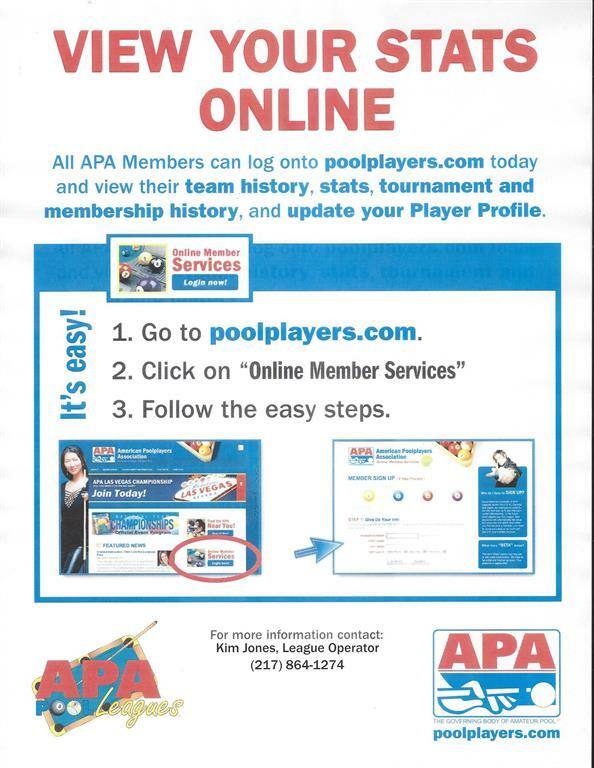 Welcome to the Central IL APA Pool Leagues home page! 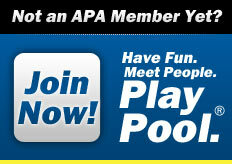 The Central IL APA Pool Leagues provide the fairest, most enjoyable pool league in the nation! The league, operated by Kim Jones for over 29 years includes the counties of Champaign, Coles, Macon, Piatt, Moultrie, Menard, Sangamon, Douglas, Ford, Shelby & Montgomery. We offer the following formats: 8-ball, 9-ball, Masters, Double Jeopardy, Juniors (age 7-17), Ladies and Jack & Jill. Grab some friends and create a team or join an existing team! HAVE FUN. MEET PEOPLE. 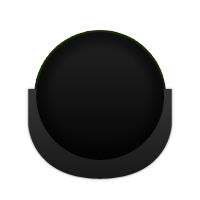 PLAY POOL.